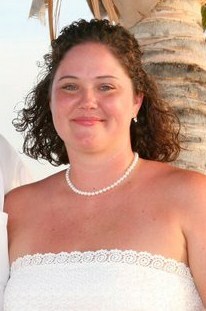 Hi, I am Jen and I was diagnosed in March 2010 with AS, a few days before my son’s 1st birthday. I have had pain since I was 15 in my lower back and hips but thought it was due to helping my Papa re shingle our roof when I was 15. I always blew off the pain and just dealt with it. Then I was diagnosed with MS in 1997 and that took over my life. I contributed my off and on pain to the MS. Then in 2008 I married the love of my life and in March of 2009 we had our beautiful baby boy. Several months after his birth I began having severe lower back pain to the point I could no longer pick him up or function, the doctors thought it was my MS but I knew it was different. With the help of steroids it got better only to have a severe pain flare in my tailbone that sent me to the ER. I went to an appointment with my neurologist and thankfully he listened to me and knew this was more than my MS. He sent me for several tests including an MRI and Bone scan. The results showed severe inflammation in all of my major joints. I was then referred to a Rheumy and was diagnosed with AS at my second appointment. I have inflammation in both SI joints, tailbone, both knees, both ankles, both feet, neck, ribs, both elbows, both shoulders, both wrists, both hands and jaw. I now take Mobic, MTX injections, Loratab and daily steroids to help with the pain and stiffness. I am unable to take some of the other meds due to my MS diagnosis. Everyday is a struggle but with the help of my friends and family we manage. I have never been one to give up so I fight to keep my independence. I am just grateful for the blessings I have in my life. I hope that by my example I am able to teach my son that anything is possible with faith, courage and determination. How is the Mobic working for you? I find that Advil and Aleve are more effective, and mobic gives me heart palpitations, which is odd because the OTC anti’s do not. I would be immobile if not for my Norco. And so far, I am not willing to get on Simponi just yet. I know I may have to before long, but for now the regime I am on seems to work. What are MTX injections? AHA! Another example of an AS’er turning a negative into a positive. “I hope that by my example I am able to teach my son that anything is possible…” All you AS’ers who have kids need to stop worrying that somehow you’re denying them or are falling short as a parent. Pure bunk. I think your kids are gonna be “better adults” because of your AS. OI grew up with an idea in my mind of what life was “supposed” to be like. When I got married and had my first daughter I had an idea of the wife and mother I wanted to be. I struggled to be that idea after being diagnosed and AS progressing. It’s hard when you finally see you can’t be what you think you should. Instead of seeing the quality of the things we can do we see the things we can’t do. I’m learning how to give my family what I can and let them give me what I need. My kids feel loved and that’s the most important thing. I will have times I need to remind myself of that for the rest of my life though. I don’t know if other people feel like that but I guess many people have similar feelings.